New England currently sits ninth in the East on 16 points (4-5-4) with a +2 goal differential. They are 2-2-1 in their last five matches. New York City are of course coming off their 3-1 loss to Atlanta at Bobby Dodd Stadium and sit third in the East on 20 points (6-5-2) with a +7 goal differential. City are also 2-2-1 in their last five. While the Revs are still searching for their first away win of the season (0-5-2; winless in their last nine away matches dating to last season), City have turned Yankee Stadium into the fortress it needed to be, losing only a single game (3-1-1) on the home grass so far in 2017. 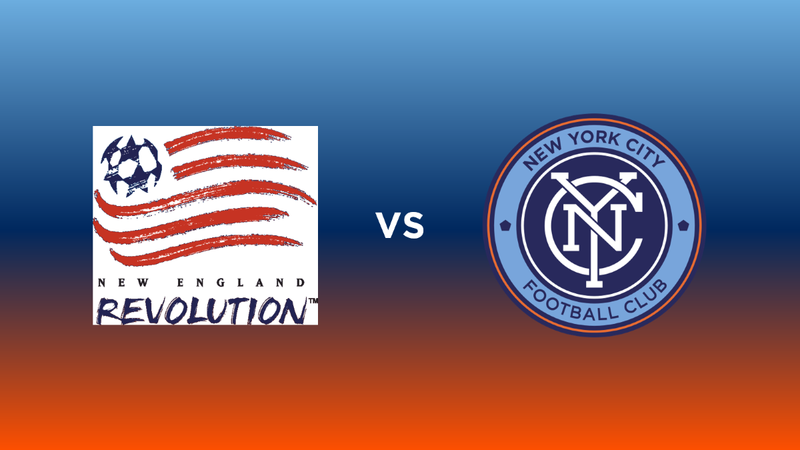 Revolution play-maker Lee Nguyen has been a bit of a menace for the Boys in Blue historically, to the tune of three goals in five matches (he is tied for the team lead in goals (6) with forward Juan Agudelo). Nguyen managed to put his club ahead of the Red Bulls last weekend with a ninth-minute penalty kick drawn by Diego Fagundez, giving them a lead they would maintain until just minutes into the second half. New England manager Jay Heaps was without two of his defensive starters – Andrew Farrell and Benjamin Angoua – who were serving accumulation suspensions; they will likely be back in the lineup against City. Speaking of accumulation suspensions, New York City will be without stand-out midfielder Alex Ring, who saw his fifth yellow of the season last Sunday in Atlanta. The card was extra-unfortunate in that had Ring gone without in that match, one of his yellows would have been rescinded and he’d have a little more breathing room for his aggressive style of play. Ring’s absence adds to what has become a bit of a “perfect storm” for Patrick Vieira who has said he would like to rotate his squad for this midweek game. Hopefully he learned his lesson from the last rotational experiment – a 2-1 loss at Real Salt Lake – when he switched out the majority of his first-choice players for their backups. Especially in the midfield, Vieira will have his work cut out for him. With Ring suspended and Yangel Herrera doing extremely well in the U20 World Cup (he scored the game-winner in Venezuela’s Round of 16 match against Japan, advancing his team to the quarter-finals), combined with the questionable status of Andrea Pirlo, the once-deep City midfield now has limited options. Tommy McNamara and Mikey Lopez would seem to be the de facto starters alongside Maxi Moralez. At the back, Ethan White has also been nursing a groin injury, though he’s admirably tried to play through it. RJ Allen may have earned some more time after recent performances against Orlando and Atlanta, RJ Allen has been suspended by the Disciplinary Committee for this match, and it may finally be time for Shannon Gomez to see the field. Also, Alexander Callens remains the lone field player to not miss a minute this season and, after his performance in Atlanta, might be due for a rest. Leading the attack, we will undoubtedly see David Villa in a must-win game after losing to Atlanta Sunday (City has not lost consecutive matches since April 16 & 23 of last season), with Jack Harrison alongside. Whether or not Rodney Wallace will get the nod remains a mystery. Wallace has been called up for Costa Rica (along with teammate Ronald Matarrita) and may get some rest before leaving the club for international duty. With Khiry Shelton still on the injury report, Jon Lewis may get the nod as Miguel Camargo has also been called up for Panama (though he is still with the club). It’s plain to see that Vieira has quite a few decisions to make if he wants to rotate this squad midweek – even though he’s essentially forced to by injury and suspensions. He cannot make the same mistakes he made in Utah, however, and should get as many first-choice guys out there as he can. New England’s is a squad that can make you pay – they have a similar style of play to FC Dallas in their opportunistic ways – and a mixture of inexperience and rust could lead to disastrous results for the Boys in Blue. As always, this game will be streamed out-0f-market on MLS Live.